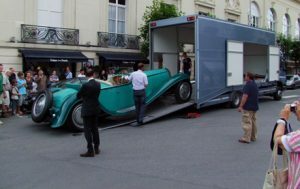 Classic cars are valuable witnesses of automotive history, and as such they are often too good to just overcome distances. They rather embody a way of life. We will take care the distance, so that your jewel is always right where you want it to be. Whether it’s the holiday resort, the workshop, the racetrack or an exhibition – we bring your vehicle safely, quickly and discretely to its destination. 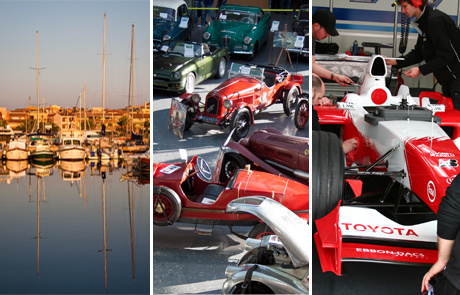 This is where female sensitivity and technical expertise are required. 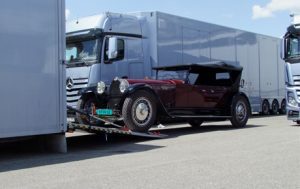 Our car transporters are throughout Europe on the road and they are tailored to meet your needs. 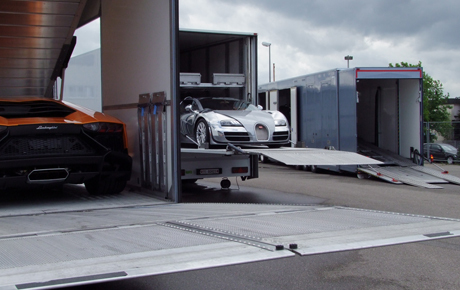 With over 2,500 transports a year, it requires not only a team of specialists, but also a reliable truck fleet. 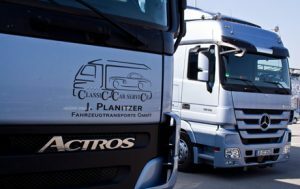 Our car pool contains 22 vessels including all transportation categories from the 40-tons Actros truck (for up to six vehicles) to a large van with trailer (for one car). 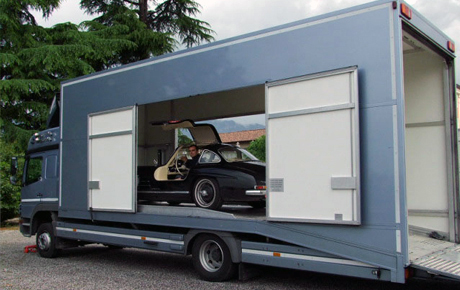 So we can respond flexibly to your wishes. 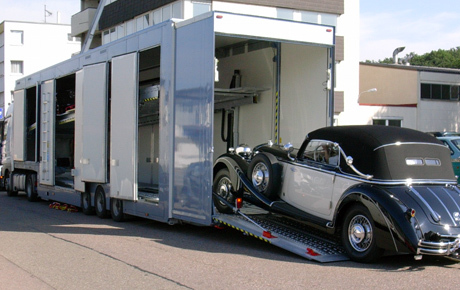 Our transporters provide enough space and comfort for all types of classic cars, even for large and heavy vehicles. We subject our transporters consistently to quality controls in order to always guarantee the safety of your vehicle. 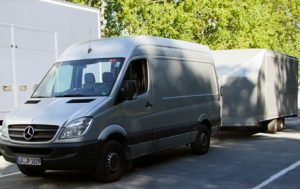 Furthermore is the average age of our transporters about two years, so we keep our fleet always on the cutting edge of technology. 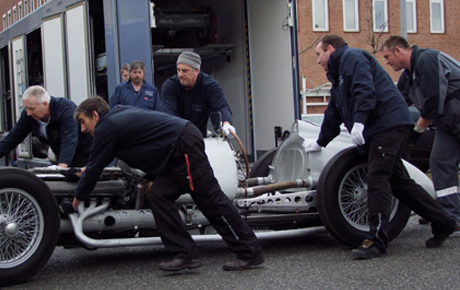 As specialists in the transport of historic vehicles our customers put great trust in us. 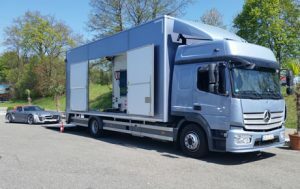 This is the crucial motivation for us to keep our offers relating to transport security up to date. The constant internal and external training of our team is mandatory – this is why we always find the right solution for your individual questions and needs. One of our biggest logistics-success this year is certainly our involvement in the classic car show “Retro Classics”. 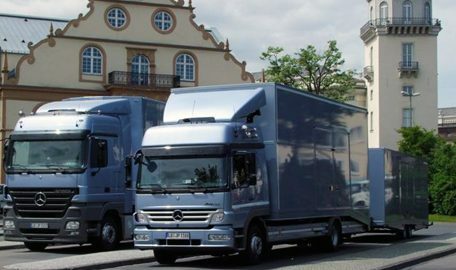 We managed it to bring 170 vehicles from across Europe within three days to Stuttgart Trade Fair and returned them within only 24 hours. The key to our success lies in the combination of advanced transportation technologies with traditional methods. So for instance we use modern lifts in our trucks along with oldtimer-specific securing techniques. We use lamb skin to protect white wall tires from damage caused by straps and our drivers always wear white gloves while loading vehicles. 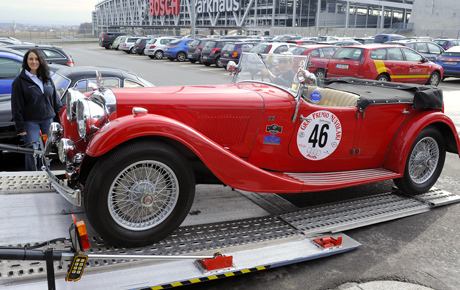 The famous magazine AUTO BILD KLASSIK reported on our methodology in an article (Edition 2/2007 S.135).